I found cheap tickets via Air China for roughly $500 per person (It was really $498). For all you seasoned travellers, you know cheap airfare always comes with a catch. 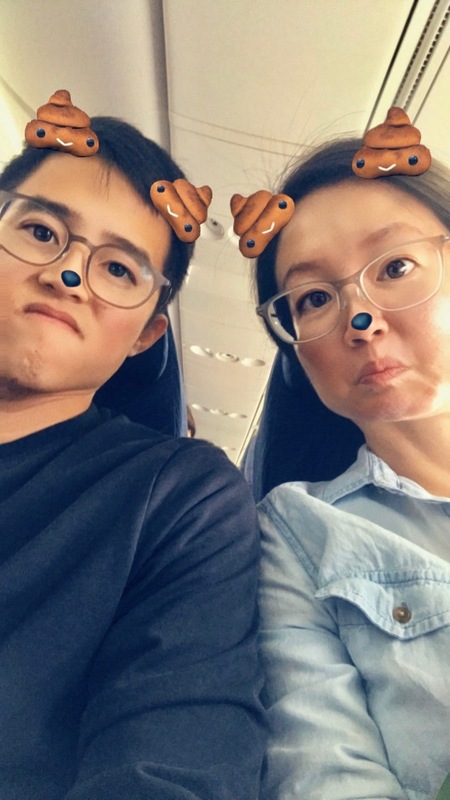 We had a 19-hour layover in Beijing heading to Seoul, and a 1.5-hour layover in Beijing coming back to San Francisco. If you are on a budget then this airfare is really a steal, but if you can shell out more money then I would highly advise going for a non-stop flight or at least a non-China airline to save time and stress. Note: Air China does not allow cell phone use during the entire flight. If you like to shop then pack as light as possible. I had a large roller bag that was half full and I just purchased a large cardboard box (less than $2) at a local post office when it was time to pack everything home. I brought my own string, sharpie, and small roll of packing tape. With a cardboard box, you don’t have the added weight of a luggage bag so you can pack up to the weight allowance (yeeee!! ), but having to carry the box might be an inconvenience. FYI- we taxied it from Bukchon Hanok Village to Incheon (~50+ miles like driving from San Jose to San Francisco) and it was like $50 USD, which also included a $6 toll. Totally worth it considering the luggage we had! Cold weather tip: If you’re heading to Seoul during the winter, buy a bunch of heat packs when you’re there. You can find them at convenience stores everywhere. They sell the kinds that have an adhesive backing so you can stick them to the insides of your clothes. Those kept me so comfortable when it was bone-chilling cold out. Don’t forget your gloves, scarf, beanie, and base layers! In regards to coats/jackets, I would recommend down filled jackets or quality wool coats that are at least middle thigh to knee length. Having your legs covered makes a huge difference! It's also really dry there so don't forget a rich moisturizer otherwise your skin will literally crack. For my first trip to Korea I reserved a pocket WiFi for pick up at Incheon that cost around $30 for 5 days of usage, but now they conveniently offer SIM cards for purchase at the airport (ex. ~$30 for 10 days unlimited 4G/LTE) for an affordable price. I highly recommend getting one of these options instead of relying on a plan that allows you to use data internationally. Kevin’s T-mobile plan gave him unlimited data usage (but at 2G speed) in China and S. Korea, but the connection was really spotty. There were times it just didn’t work and we needed Google maps! Both times arriving in Korea, Kevin and I were advised that the Airport Limousine Bus was the most affordable and quickest way to get into the city/our hotel. In case you didn’t already know Incheon Airport is on it’s own little patch of land west of Seoul. Two tickets to Gangnam/Seoul were roughly $30 total and you can nap on the way to your hotel! Tickets are purchasable prior to exiting the airport and you’ll see signs along the way to guide you. When you’re in the city, taxi and subway are the way to go! It’s extremely easy, convenient, and affordable. Kevin and I picked up T-Money cards so we could just scan our way through the subway stations. Majority of our rides were less than $1 and ones that had transfers were less than $2. So cheap! Taxis are also great if you’re in a hurry and you don’t have to worry about it being overpriced! A 15-20 minute ride will run you about $6-8. Note: It’s helpful to have location names in Korean for the taxi drivers. Kevin and I stayed at 4 different places for this trip. We were at the Gangnam Glad Live hotel, an airbnb in Busan, airbnb in Myeong-dong, and finally an airbnb hanok in the Bukchon Hanok Village. Airbnb prices are affordable and our hotel in Gangnam was surprisingly cheaper as well (~$80/night)! You’ll definitely get the cheapest accommodations with airbnb, but staying at a hotel has its own perks too (i.e more flexible check in/out times and English speakers). Details about this hanok to come in a later post! Of course this will depend on where you want to go, but many people usually stay around Myeongdong. It’s a central location and the most popular for tourists. Subway rides out to Gangnam and Hongdae take about 20 minutes. For a more authentic experience I definitely recommend staying a night or two at a hanok in the Bukchon Hanok Village. If you're part of the young crowd or like staying where the night scene is at then somewhere around Hongdae is the place for you! My friends, this is what makes me the happiest. They have streamlined the tax refund process and made it SO easy! I love it! You can now get your tax refund either immediately when shopping (look out for “immediate tax refund” signs while shopping) or cash in in the city. They have so many locations now where you can get your refund. It saves time and stress at the airport, and you’ll have some extra monies to shop with. :) QUICK TIP: if you’re claiming your refund in the city, skip the kiosk and go straight to the counter. You don’t get cash refunds at the kiosks. Communication in S. Korea was really easy. I spoke mostly English and Mandarin, and finger pointing was all mighty. All the restaurants we went to either had English or picture menus so ordering food was no problem. All public transportation has signs in English so you don’t have to worry about getting lost. S. Korea is very tourist friendly! Those are my tips for traveling to S. Korea! If you have specific questions that I didn’t address please feel free to leave a comment or send me an email- I’d be happy to answer them. 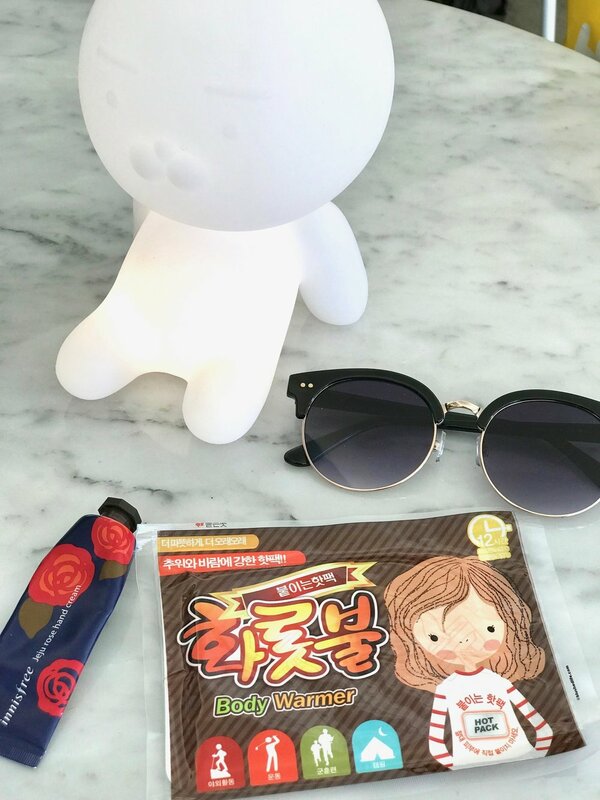 In no particular order, my next posts will be about shopping tips, my experience at the Sulwhasoo Spa, where and what to eat, specific sights and places to go, and the things I bought during my shopping adventures. I might also start sprinkling in some reviews of the beauty products I bought!